“In one action, Schmidt and Elisa VanderHout face the threat of court proceedings from an injunction to “enforce” the ban on “distribution” of raw milk. Michael and his wife, Elisa, argue that the milk act does not apply to the shared ownership arrangement that governs the operations at Glencolton Farms. The submissions for the injunction case are over. A ruling from the judge could come any day on whether or not he will grant the injunction from York Region and the Ontario Ministry of Agriculture. If granted, the ruling will move the prosecution into criminal proceedings (contempt of court) to any farmers, mothers, community leaders, etc. who participate in a milk drop or handle raw milk for human consumption. In the case of Glencolton Farms, the farm is a cooperative structure, which means that many members own the farm and benefit from everything that the farm produces. This case in Canada is an important one to watch as the ruling—either way–will significantly affect what foods Canadians have access to and how the regulatory agencies and courts will target individual farmers and producers. In a second and more dramatic case, Schmidt continues his trial on the charges of obstruction of a peace officer . These charges, against Michael and originally four other men, stem from the raid on Glencolton Farms by Glenn Jarvie and the Ministry of Agriculture and Food in October 2015. During the raid, the government confiscated computers and some documents before 80 farm owners, friends and neighbours showed up and blocked the driveway. Farm members stood in the cold driveway at the farm, blocking the government vehicles from leaving as long as the trucks had the farm owners’ property in them. Only five people were charged. Over the course of the hearings for the obstruction charges, all were dropped except the charges against Schmidt and two other defendants. Schmidt provided a recent video update where he speaks about the bureaucratic mishaps that have him labeled as a Canadian “terrorist,” in the words of at least one law enforcement person involved in the court proceedings. The irony of this is that Michael is a firm advocate of peaceful resistance. The entire time Michael has stood up for his rights as a farmer and for the rights of consumers to procure the foods of their choice from the producer of their choice, he has done so with an emphasis on non-violence. Read it all on “The Complete Patient” blog. The obstruction trial is set to continue in Walkerton on July 28th, August 4th and August 25th of 2017. 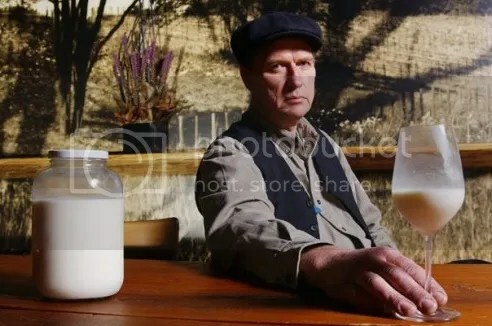 Canada – first to criminalize raw milk? “After 23 years of unsuccessfully chasing down raw milk farmer Michael Schmidt via raids and court trials, the Ontario government seems finally to have settled on its version of the “nuclear” option: Its minions are seeking an injunction against the sale and purchase of raw milk, an action that could well have the effect of criminalizing all distribution and even consumption. “Last month, while visiting at a small ag and liberal arts school in upstate New York to give a talk, I got to tour its well-run conventional dairy of more than 300 cows (and a 50,000-gallon bulk tank—pictured at left). It serves as an on-campus training facility for students at the school, the State University of New York in Cobbleskill. Tagged as David E. Gumpert, politicians, raw milk, regulators, schools, The Complete Patient, U.S. Raw milk crackdown in Italy now! Europe, and Italy especially, have long been the land of the free when it comes to raw milk access. Thousands of raw milk vending machines in Italy alone have been in trouble free operation for ages now. So why the crackdown now? “Andrea Verlicchi, an Italian Web designer, used to leave his apartment in the mornings, stroll to a nearby vending machine and fill his recyclable glass bottle with fresh, raw milk. 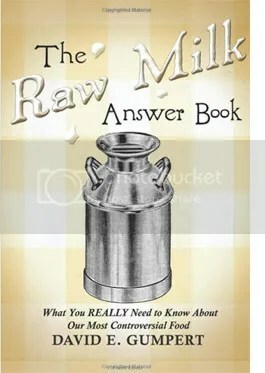 FDA the odd man out on raw milk?